This article first appeared in Pro Landscaper Gulf – a .PDF copy can be seen here on page 12. 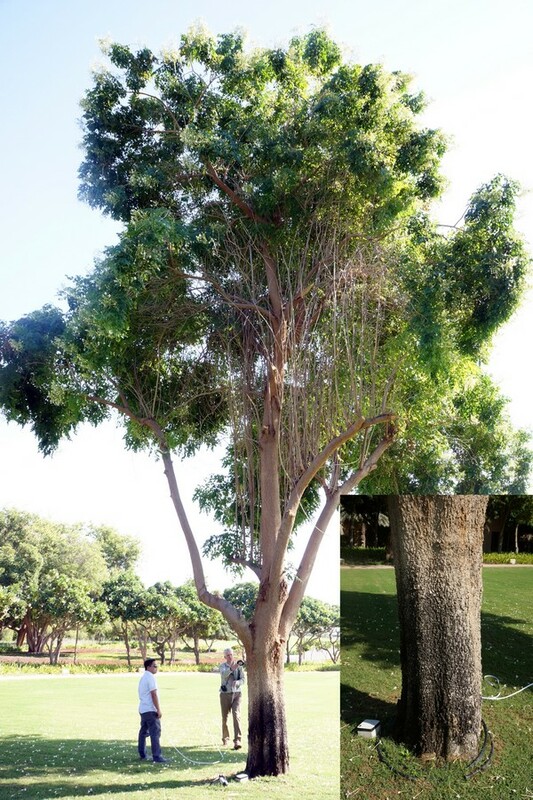 It is based on tree consultancy work I have undertaken in Abu Dhabi in recent years. 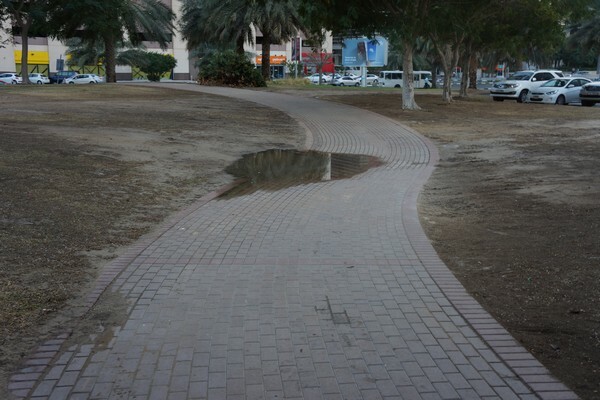 Irrigation is taken as a necessity when landscaping in arid climates. It is a view that I wouldn’t like to completely contradict, yet I have seen a fair bit of evidence that tells me many plantings, and trees especially, are over-watered. Of equal importance is the fact that many of the irrigation methods are wasteful of water and sometimes damaging to the trees themselves. We have to discern the different needs of trees and understand that what is necessary for one species is overkill for another. I particularly speak of natives verses exotics. 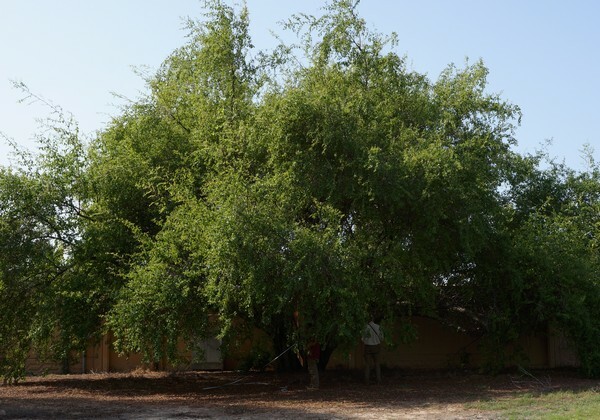 Ghaf and Sidr you will see growing wild and without irrigation but imported exotics need a regular supply. I have seen Ghaf blown over in irrigated plantings, caused by shallow rooting from an easy water supply. 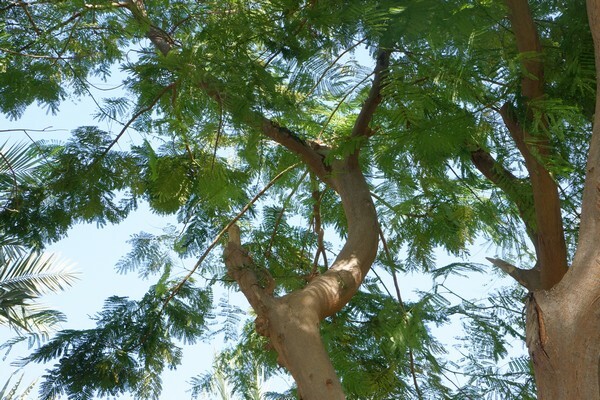 Bacterial wetwood in Delonix regia caused by overwatering. It also reduces the flowering, for which these trees are famous. 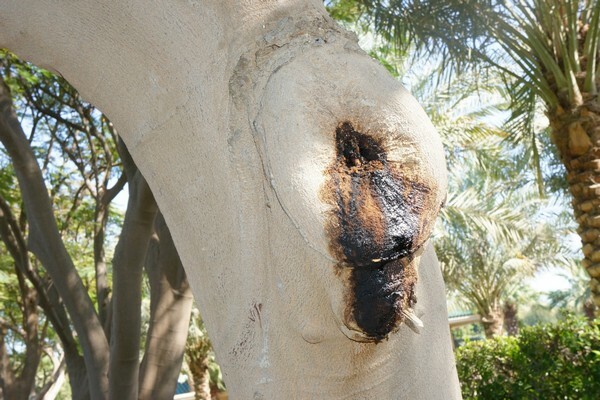 How the water is put on is just as important; pop-up sprinklers in lawns can damage the trunks of trees, causing aerial rooting in species like palm or fig, discolouring bark and causing stress-induced rots to occur in others. 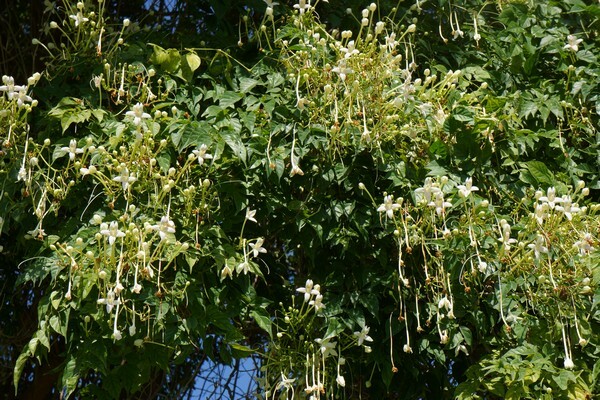 Exotics like the Flame tree (Delonix regia) get over-watered, causing a reduction in flowering and a susceptibility to bacterial wetwood (slime flux). Even drip irrigation is not ideal, as it applies the water at the surface and promotes shallow rooting. Trees with shallow roots are vulnerable to drought and so dependent upon the irrigation supply – a vicious circle. Excess surface irrigation is wasteful. In the UK, we are used to putting in a subterranean irrigation ring around trees, which gets water to the tree roots at a deeper level. 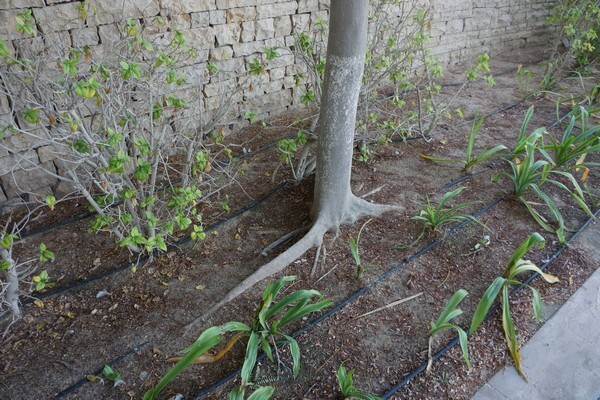 For watering established trees, perforated tubes can be utilised, inserted vertically throughout the root zone and either manually watered, or connected to standard irrigation systems. Supplying water at a slightly deeper level means less water used and wasted. A word of warning though – most feeding roots occur in the top 300 – 500mm of soil, so watering too deeply can also be wasteful. In coastal cities, problems can arise from a naturally high-level, saline water table. Halophytes (salt tolerant plants) have evolved to cope with this, but for some imported species, salinity can be a problem. You also have to be aware of the quality of the irrigation water itself, which if drawn from the ground, may have a high saline content. Get your water supply tested if you are unsure. Ultimately, I believe that planting styles and expectations of “landscape” must change. A more natural style, with more xeriscaping and use of natives or other arid loving plants from different parts of the world (but from similar conditions), will emerge. More important, in my view, than using strictly native species, is building plant communities that function and thrive in place without much human care or maintenance. As climate zones shift rapidly around the world, nature cannot keep up and it will be down to us to create landscapes that sit well in their altered environments, whether native or not. I believe we can do this with considerably less use of irrigation. The water we do use should then be grey water (from taps and sinks), which is a much better way to conserve processed water use. The goal has to be minimal water use, natural, ecologically benign planting and urban environments which feed our biophilic needs for connection to nature. Very intelligent observation,i am going through this condition.